Project Size: 108,614 sq. 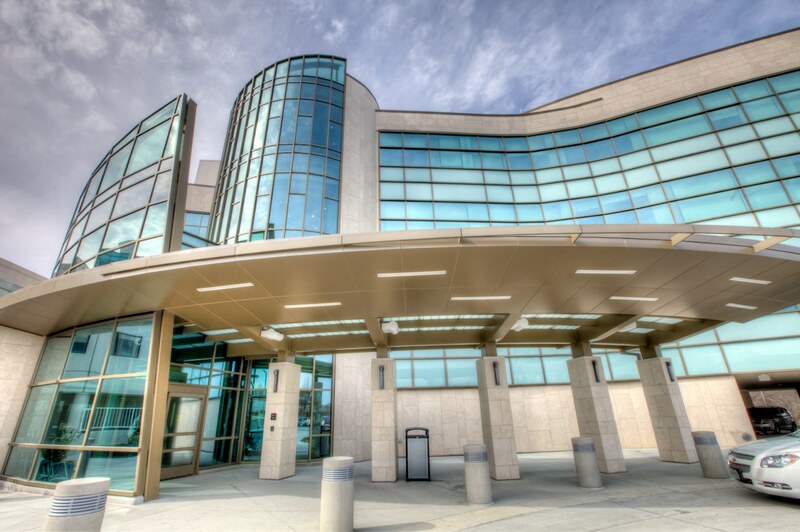 ft.
Shawnee Mission Medical Center (SMMC) has long been a leader in caring for women, children and families. With the addition of the new 100,000-sq. ft. 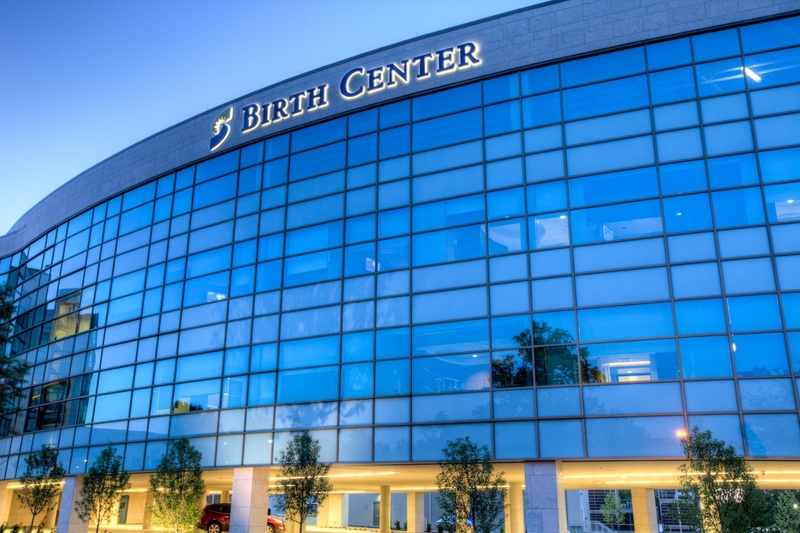 Birth Center, SMMC is now able to showcase their commitment to patient-centered care and provide state-of-the-art healthcare in a warm, hospitable environment. 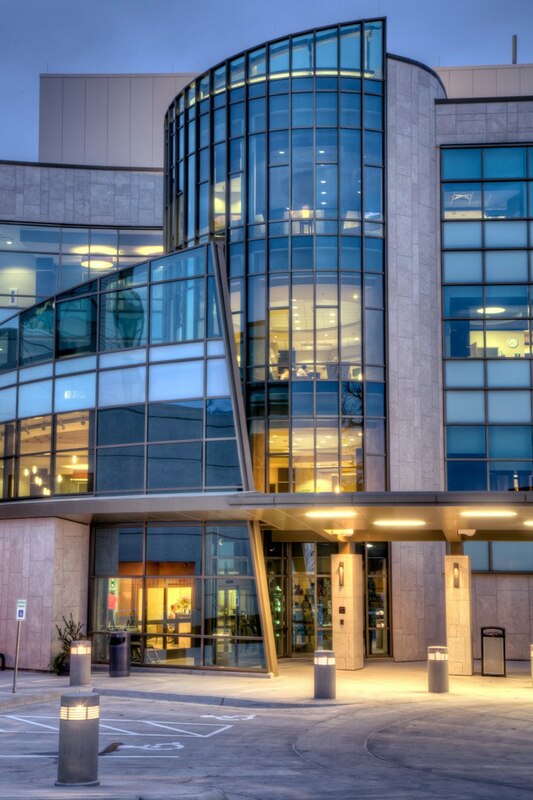 The Birth Center stands as an icon on the campus, with a towering and undulating glass and stone facade. 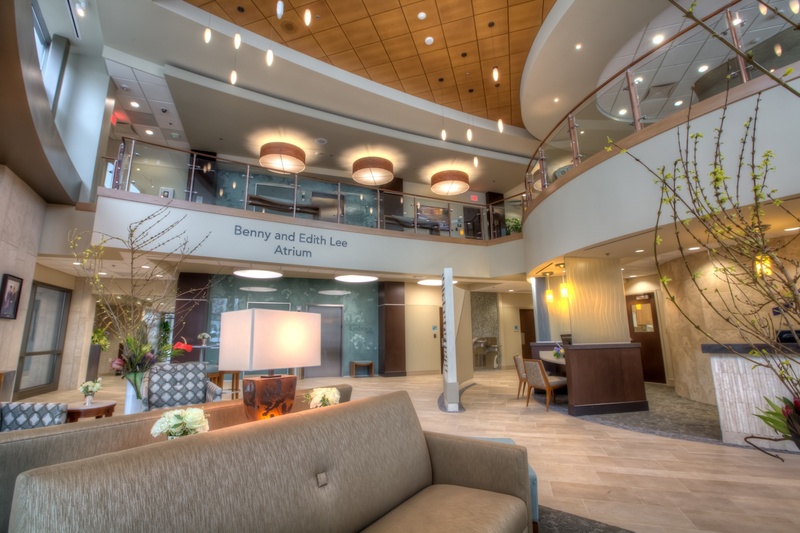 Inside, the design and finishes of each floor create a healthcare environment filled with natural light and comfortable finishes, caring for the patient as well as the family. 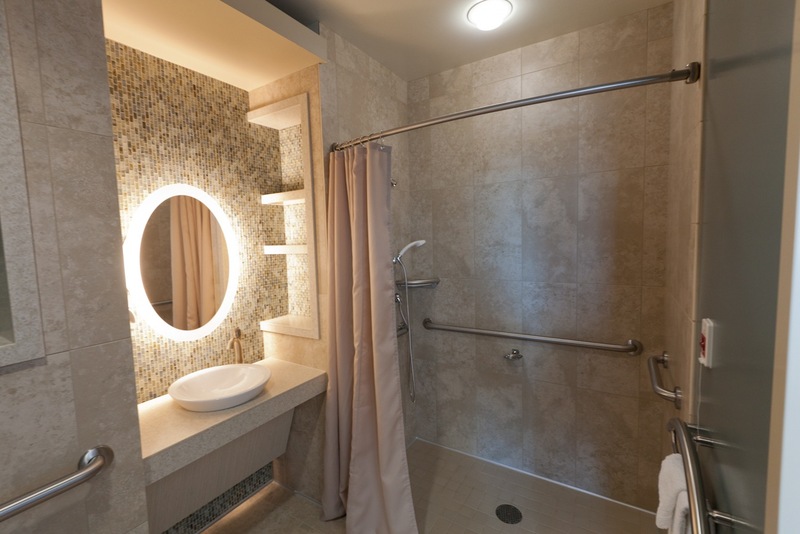 The 26 labor, delivery and recovery suites on the second floor are all designed to comfort the woman, encourage family interaction, and allow the medical team to provide unparalleled care . 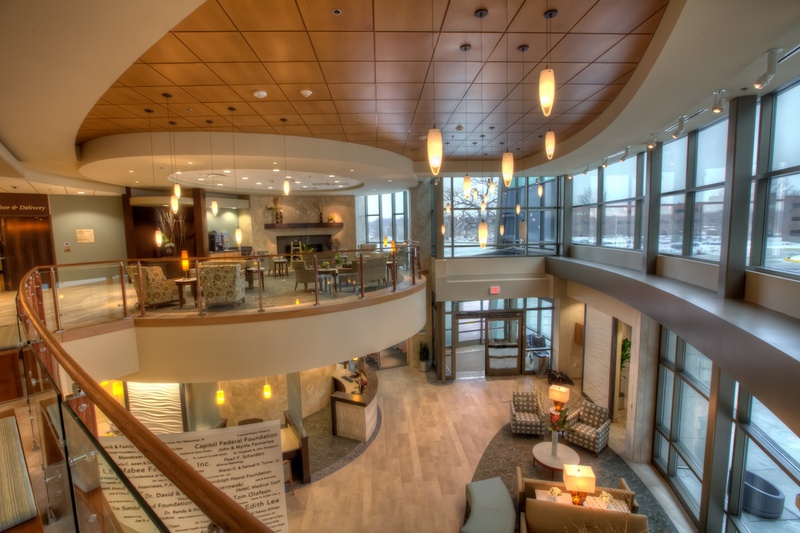 Spacious rooms and warm finish accents of wood, glass and tile create an environment that feels more like a hotel than a traditional hospital. Space planning focused on concealing medical equipment until it’s needed. 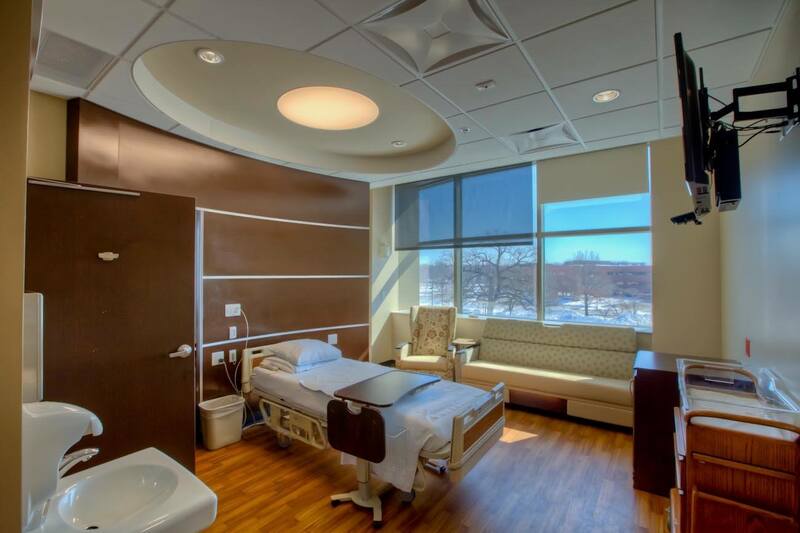 On the third floor, 28 post-partum rooms continue the same commitment to comfort, involvement and care. 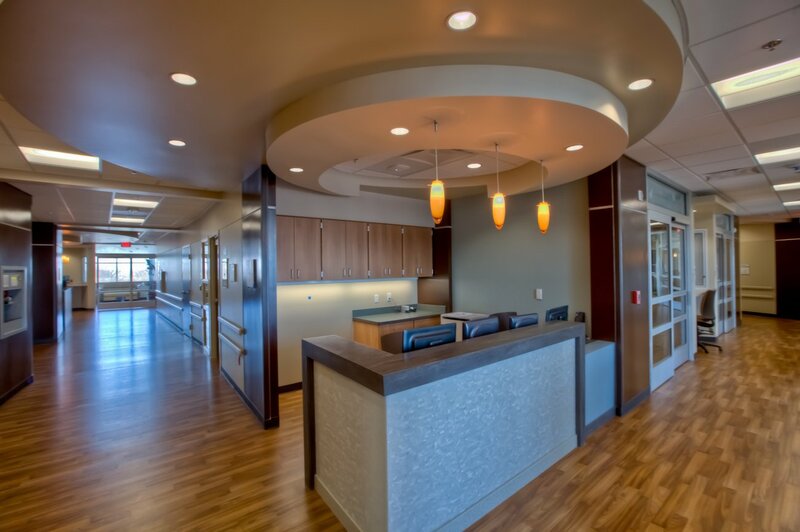 Nurses’ stations are located close to the patient rooms to maximize staff attention and efficiency while comfortable furniture and room layouts offer plenty of room for the family to stay together. 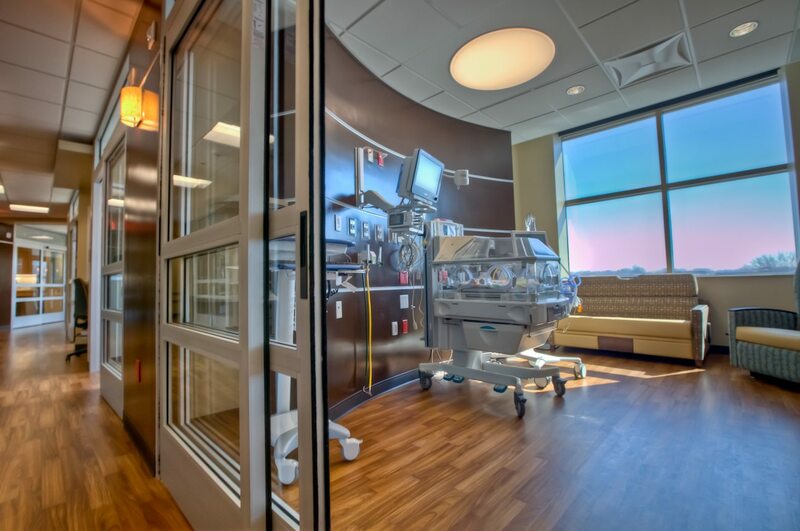 The Level III Neonatal Intensive Care Unit (NICU) occupies the fourth floor. 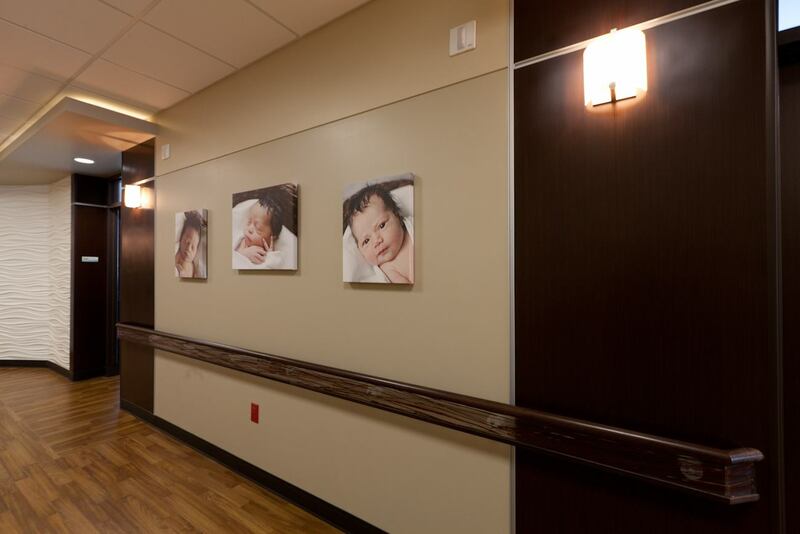 Each of the 24 NICU rooms is private , except for the rooms designed to accommodate twins, with the same level of attention to detail, comfort and medical technology provided throughout the Birth Center design. These rooms are also designed to allow for a great deal of privacy while also making it easy for the medical staff to observe the patient. 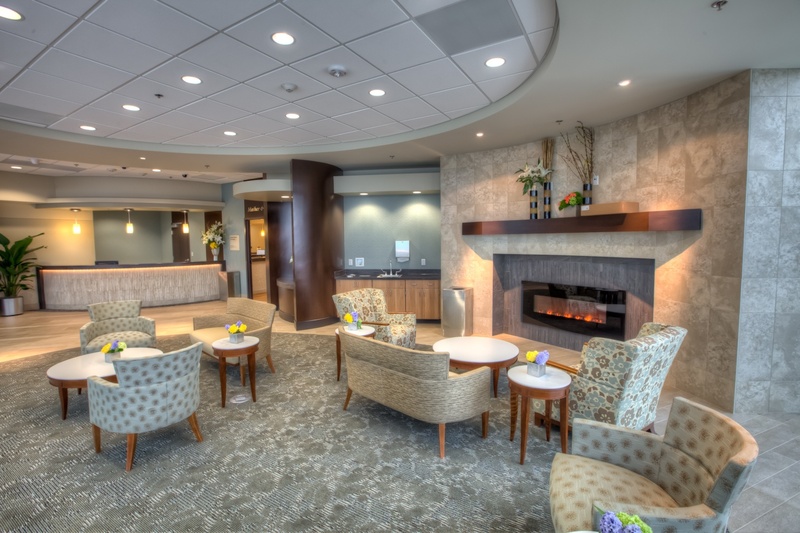 The NICU also features a Respite Lounge at the top of the glass entry tower that includes a kitchen and lounge area for families to recharge.